Shrimps are seafood easy to accomodate in verrines. Their color gives a nice touch to any dish and they taste wonderful. Today I have associated shrimps with avocado, cream and salmon eggs. Making a verrine is not just all about taste, associating the color is also a big part of the job. Green, orange and white will be my colors of today recipe. And did you know that shrimp consumption is also really healthy for your circulatory system? So, what are you waiting for? 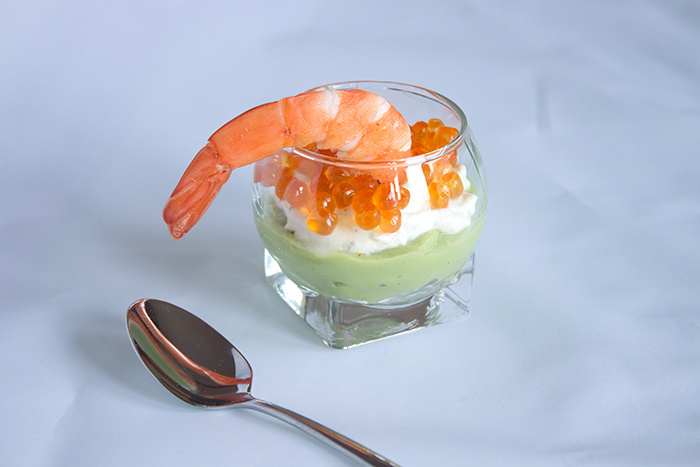 If you liked this recipe, you might be interested in having a look as well at the Shrimps Rillettes and Avocado Verrines Recipe or at the verrine recipe index. If you like this recipe, feel free to share it with your friends and do not forget to follow a French girl “cuisine” on social media. 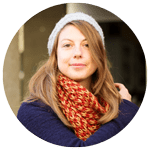 To receive the latest recipes of a French girl “cuisine”, you can register to the newsletter by email. As I am usually publishing only one recipe a month I will not full your inbox! Dice 16 schrimps and place one layer in each verrine. In an electric mixer, add avocados with a bit of lemon juice, salt and pepper. Mix until resembling to a green cream. Add a layer on top of the diced shrimps. Mix fresh cheese and cream with a fork. Add some pepper and few drops of tabasco. Pour cheese cream on top of avocado cream. 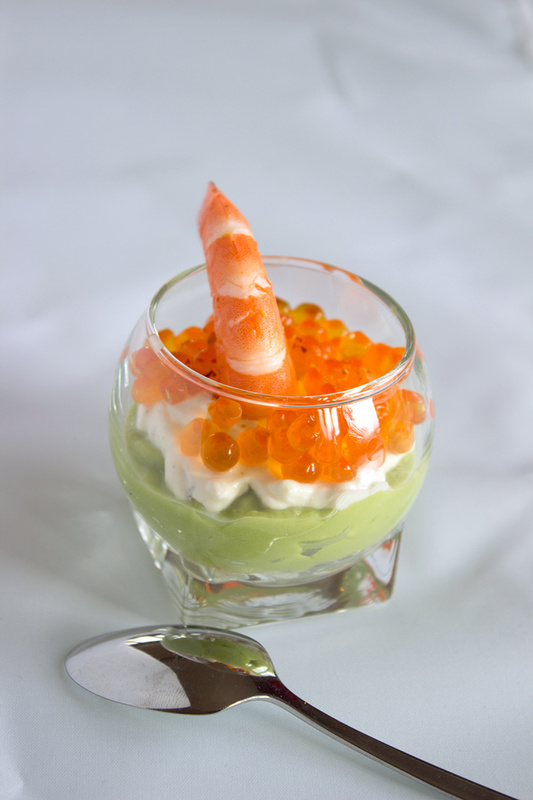 Finish by a layer of salmon eggs and place one shrimp on top of each glass. Love this, simple yet very representative and your glass ware are very pretty and cute. I really like the way this verrine looks. Thank you very much. I really appreciate your comments!